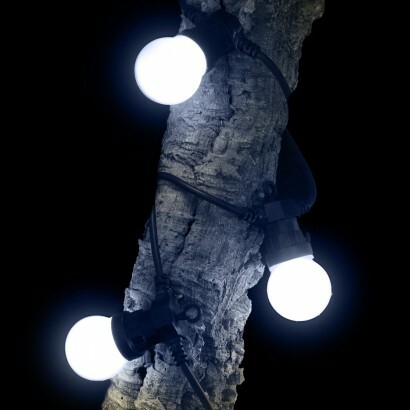 Bright white magical light for your garden, Ice White Festoon Lights are connectable making runs of up to one hundred bulbs from one transformer! 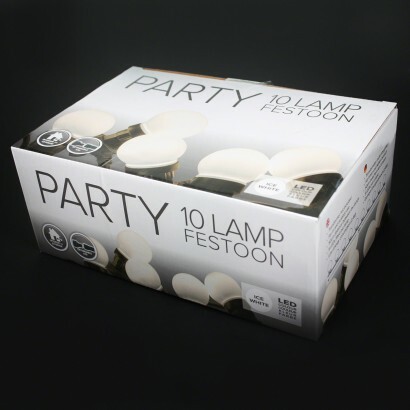 Not just for Christmas or parties, ice white festoon lights brighten up your garden with brilliant white light for instant atmosphere. 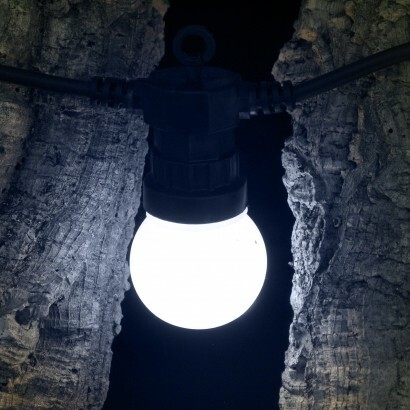 Ideal for lacing through trees, around tree trunks, through trellises and more, connect up to one hundred lights for an impressive run of lighting throughout your garden. Available in 5m lengths with 10 bulbs, or in 10m lengths with 20 bulbs, mix and match to achieve your desired length all powered from just one transformer. Suitable for use indoors or outdoors, these bright white lights add magic and enchantment to your space. Transformer for use with festoon lighting. Mix and match lengths to connect up to 100 bulbs and supply power from just one single transformer (lights sold separately). Suitable for both indoor and outdoor use. excellent product. Plus Glow Company are really helpful and understanding of customer needs.